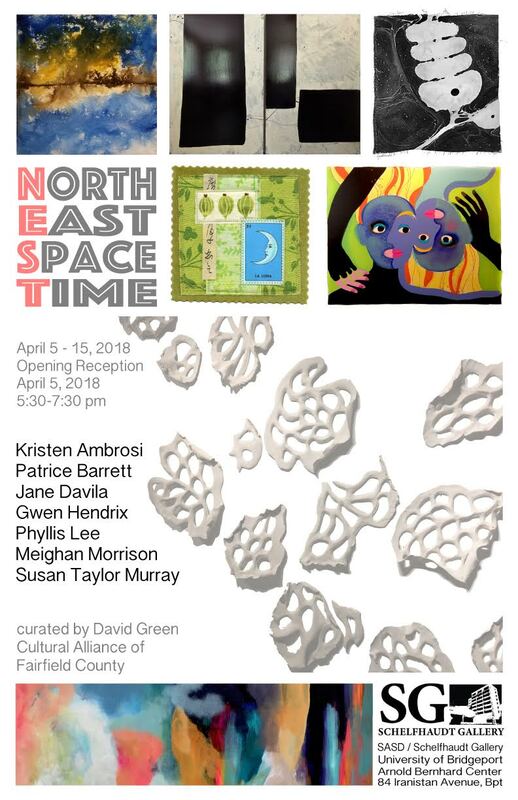 5:30–7:30 Thu 5 Apr 2018 Public Opening — The Schelfhaudt Gallery is pleased to exhibit a group of artists working in a wide variety of media that are from the N.E.S.T. Arts Factory. The Nest building has been a great facility for working artists suppling studios and exhibition spaces for twenty years. These unique perspectives are diverse and positive. The Schelfhaudt Gallery is proud to share this exhibition with Fairfield county, and its surrounding community. The exhibition includes: sculpture, painting, collage, and installation. Complementary refreshments and music will be served for your enjoyment. The reception is free and open to the public. Off street parking is available. Curated by David Green. Through 2:00pm Sun 15 April 15 2018.